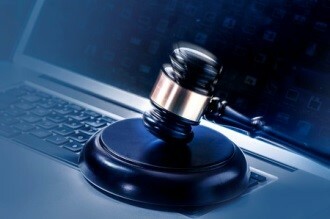 Cybercriminals cause havoc to businesses— law firms included— as they target sensitive data. That has made the legal sector to be highly prone to cybersecurity risks. More and more legal firms are falling victim to simple schemes such as ‘phishing’ or complicated ones such as coordinated cyberattack. Such threats expose sensitive client information such as IP from patent filing, acquisitions intelligence, market influencing mergers, insightful financial information, etc. Because of these incidents, your law firm could use some professional help from a managed IT services provider in Houston. According to a study conducted by security firm Mandiant Corp. in 2012, 80% of the country’s top 100 law firms had fallen prey to hacking. Unfortunately, most companies lack security measures that are beyond basic tools such as virus scanners, spam filters, and firewall software. Infinite Spada, an ALM Legal Intelligence and crisis communications company, discovered that even though 2/3 of law firms were comfortable with the ability of the firm to defend against a cyberattack, most of them lacked IT security best practices. While 87% of the surveyed law firms required vendors to have liability insurance, only roughly a third of them had coverage themselves. Recently, the Panama Papers scandal exposed millions of documents touching on offshore shell companies as well as financial dealings of countless corporations and individuals. A hack at the Mossack Fonseca law firm resulted to the scandal. Judging from such mind-boggling headlines, law firms must step up their cybersecurity game if they are to survive a cyberattack. There is no limit to what cyber criminals can do. According to Flashpoint, a threat intelligence firm based in New York, hackers infiltrate a law firm’s network, utilize keywords to find and extract sensitive information and, afterwards, use the collected information for insider trading, or trade the collected information on the dark web. Cyber threats aren’t limited to big firms that are engaged in multibillion-dollar M&A deals. Even small fish are susceptible to such attacks. For instance, just last month, a small law firm in Texas started to receive numerous calls every day across the United Kingdom, Canada, and U.S. It appears that hackers had utilized one of the firms’ accounts to message recipients with ‘lawsuit subpoena’ as the subject line. The email, which was company-specific, inquired if the legal department had received the subpoena. In this kind of situation, managed IT services in Houston will suggest that the firm disables its email account and posts a warning on its website, advising clients against downloading any attachments or clicking any links. Why Are Law Firms Increasingly Being Targeted? Primarily, the quality and quantity of valuable documents, including descriptions of business strategies, technical secrets, as well as due diligence on mergers, financing and transactions are highly attractive to hackers. Secondly, data thieves target law firms in a strategy to filter out low-value information. Law firms with a lax cybersecurity tend to risk more than loss of clients. Cybersecurity attack can also lead such firms to risk disciplinary actions and malpractice exposure. To be on the safe side, you must initiate security basics such as using strong and regularly changing passwords, as well as use disk encryption on all their devices. To further protect your law firm, consult us at HoustonTech. We provide secure and effective managed IT services in Houston to help safeguard your operations. Contact us today for more information.